Late last week the E Ink Corporation showed off its latest digital paper writing innovations at Connected Ink 2018, Tokyo, Japan. 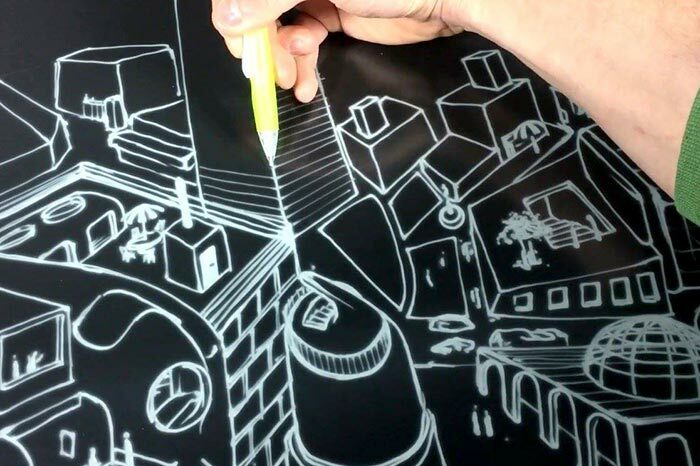 During the conference E Ink demonstrated JustWrite Film which is claimed to deliver "a natural writing experience without the use of a TFT backplane". From the official video (screenshot embedded below) it looks smooth and responsive enough for daily use. E Ink is pretty well known for the black and white screens used in many an e-reader device, as well as other screens that don't host high refresh or animated applications. The company has also dabbled in colour screens and this latest tech is meant to deliver a natural feeling writing experience with "almost no latency in pen writing," and a close similarity in feel to writing on paper, natural surfaces or marker boards. Now it has been developed and shown off, those interested will be eager to know when the first devices will arrive sporting this technology. Unfortunately no new information was shared to indicate any such plans. However, we saw the Lenovo Yoga Book C930, at IFA a couple of months ago, which seems to leverage similar E Ink technology on its second screen. Is it just me who thinks that the picture shows a most awkward and unnatural looking way to use a pen?